POMPEII IS ABOUT TO CLAIM ITS FINAL VICTIMS—TWO THOUSAND YEARS LATER! 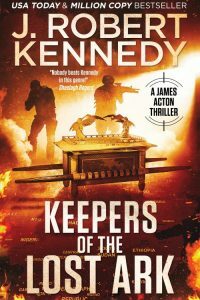 Two thousand years ago Roman Emperor Vespasian tries to preserve an empire by hiding a massive treasure in the quiet town of Pompeii should someone challenge his throne. 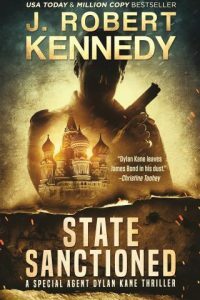 Unbeknownst to him nature is about to unleash its wrath upon the Empire during which the best and worst of Rome’s citizens will be revealed during a time when duty and honor were more than words, they were ideals worth dying for. 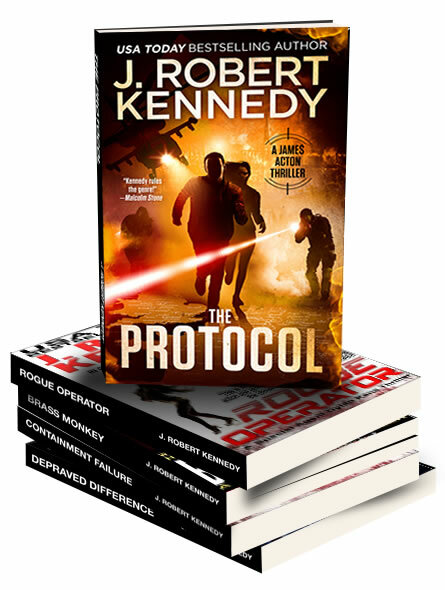 Professor James Acton has just arrived in Egypt to visit his fiancée Professor Laura Palmer at her dig site when a United Nations helicopter arrives carrying representatives with an urgent demand that they come to Eritrea to authenticate an odd find that threatens to start a war—an ancient Roman vessel with over one billion dollars of gold in its hold. It is a massive amount of wealth found in the world’s poorest region, and everyone wants it. Nobody can be trusted, not even closest friends or even family. 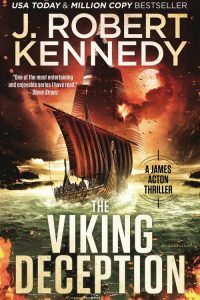 Greed, lust and heroism are the orders of the day as the citizens of Pompeii try to survive nature’s fury, and James Acton tries to survive man’s greed while risking his own life to protect those around him. 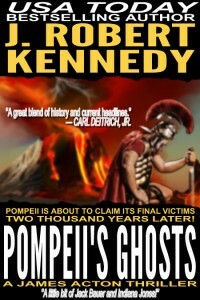 Pompeii’s Ghosts, the ninth novel in the James Acton Thrillers series delivers the historical drama and modern day action that bestselling author J. Robert Kennedy’s fans have come to expect. 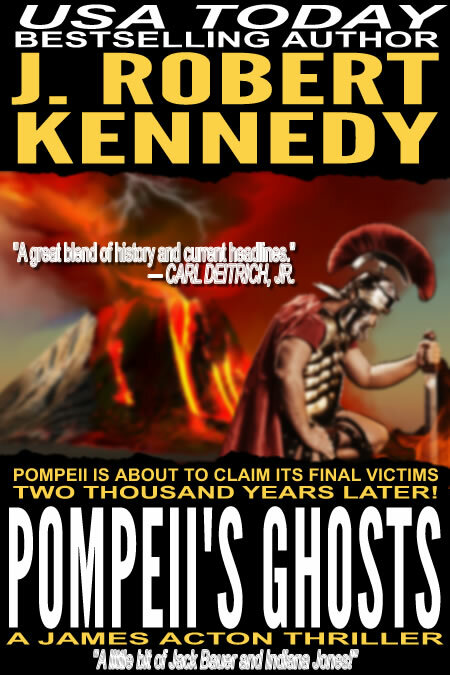 Pompeii’s Ghosts opens with a shocker that will keep you on the edge of your seat until the thrilling conclusion in a story torn from today’s headlines. 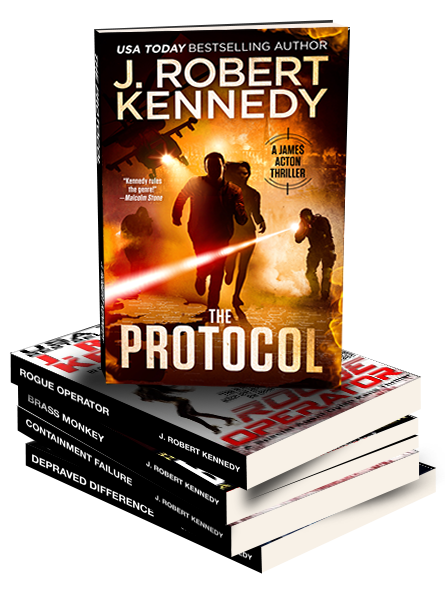 Pompeii’s Ghosts, the latest novel from J. Robert Kennedy, now available in print and eBook format wherever books are sold.